We all know that most restaurants serve high-calorie meals, but the Mayo Clinic cites a study that shows just how many calories these meals can have. According to Mayo, the study, which was published in the Journal of the American Academy of Nutrition and Dietetics, showed that the restaurant entrees averaged 1,200 calories. That did not include appetizers, beverage or dessert, Mayo said. That was almost twice the 570 calories that an adult woman should be eating for lunch and dinner. So how can you control your calories while eating out at restaurants that serve high-calorie meals? Try ordering the kids’ meal. Share a meal among three people. Instead of an entrée, go for soup and side salad, or something from the “sides” menu. Share a meal among 3 people. Order soup and side salad or something from the side menu. 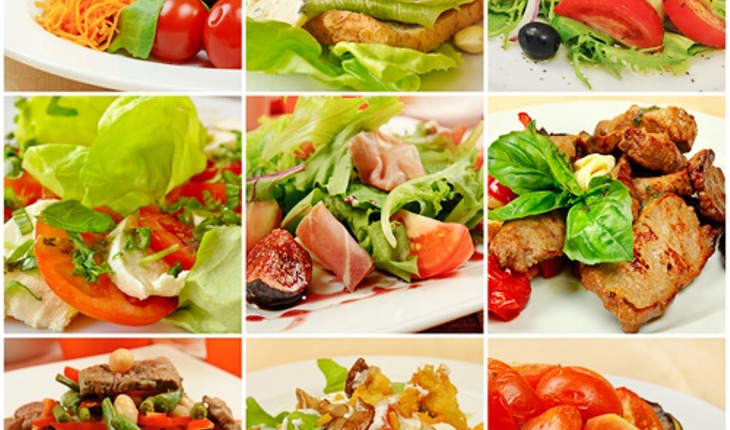 Check the menu for terms or icons that indicate healthy items, such as low-fat or low-calorie dishes. Focus on items that are grilled or steamed. Try minestrone soup or salads with dressing on the side. Because it can take 15 minutes for your stomach to signal fullness to your brain, eat your meal at a leisurely pace and enjoy the company. For more information on health issues, visit www.mayo.org.